Habitat Around channel, stream, swamp, etc. Range in Japan Almost entire Japan. All the Prefectures of Honshu Is. except Akita, Yamagata, Yamanashi, and Ishikawa, and Tokushima, Ehime, Oita, and Saga Prefs. Date Unknown. The oldest record in Japan was in 1867 at Kanagawa Pref. Impact Competition and hybridization with native species. Affected organism: Native congener V. undulata. 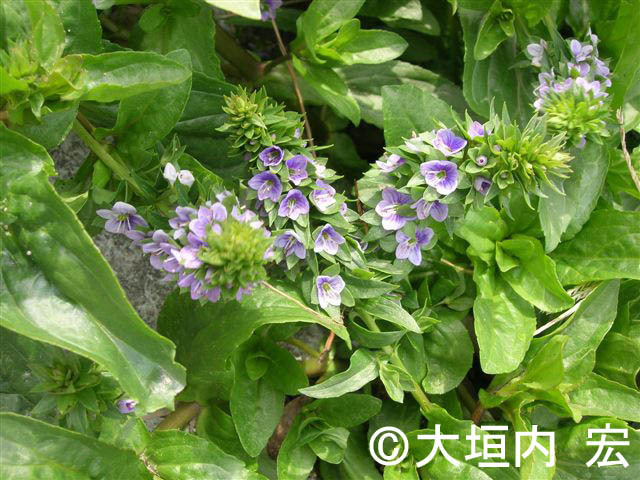 In W Japan, the native species have been replaced by the hybrid V. × myriantha.